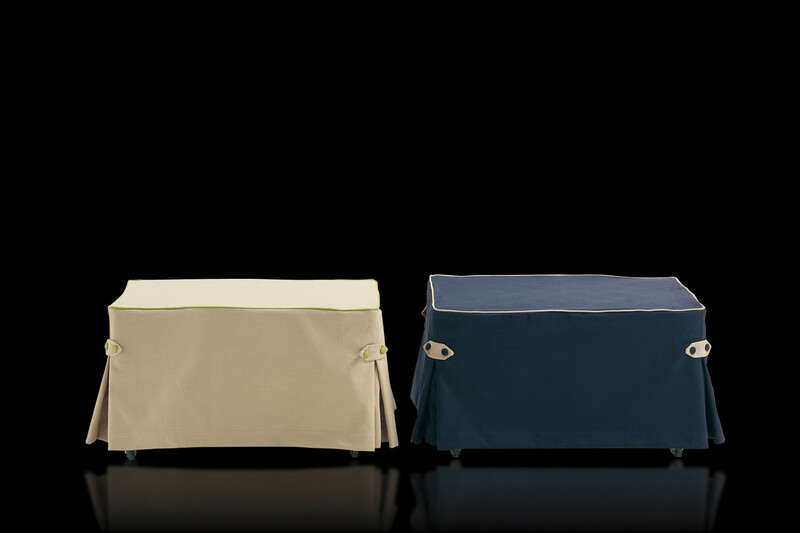 Dizzy is an ottoman bed with skirted cover enhanced by decorative bands and buttons available in different colours. As an alternative, this ottoman bed is also available with a single colour tight cover in fabric, leather or eco-leather. 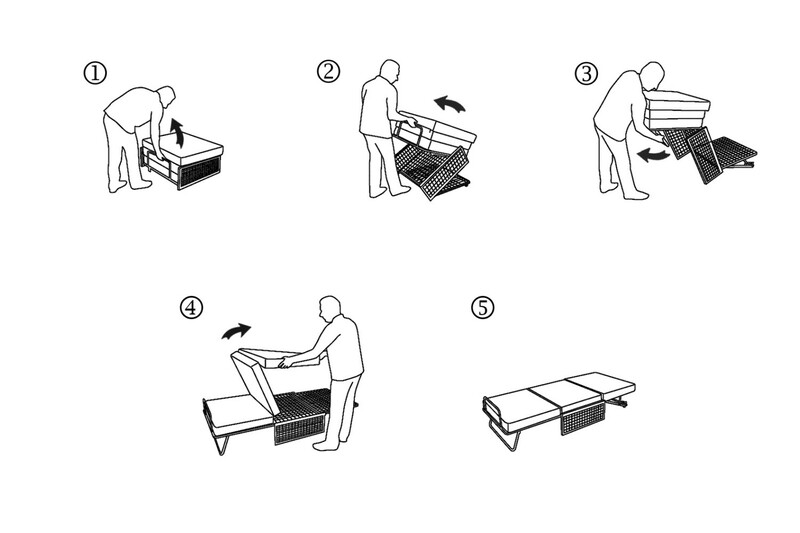 Its opening mechanism is very simple: you only have to remove the cover, open the bed base by pulling the headboard, that also works as handle, and then unfold the mattress. 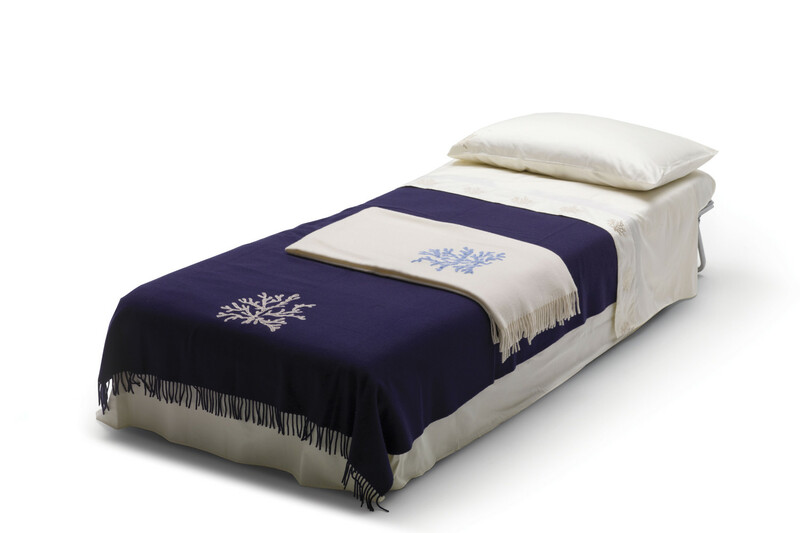 The mattress measures cm 80x205 and is made of expanded polyurethane. 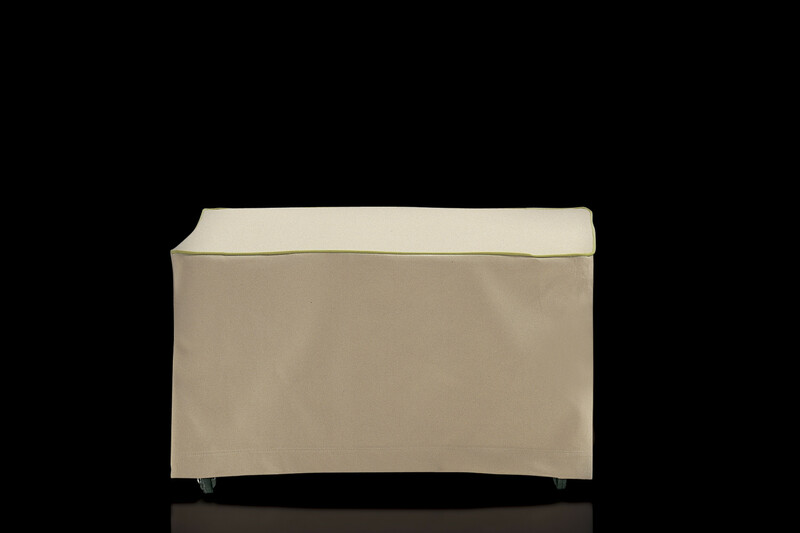 Once closed, Dizzy ottoman is an elegant furniture item, perfect for sitting rooms and bedrooms. The cover is available in two variants: tight and smooth; or with flounces, with contrasting or matching piping, bands and decorative buttons. 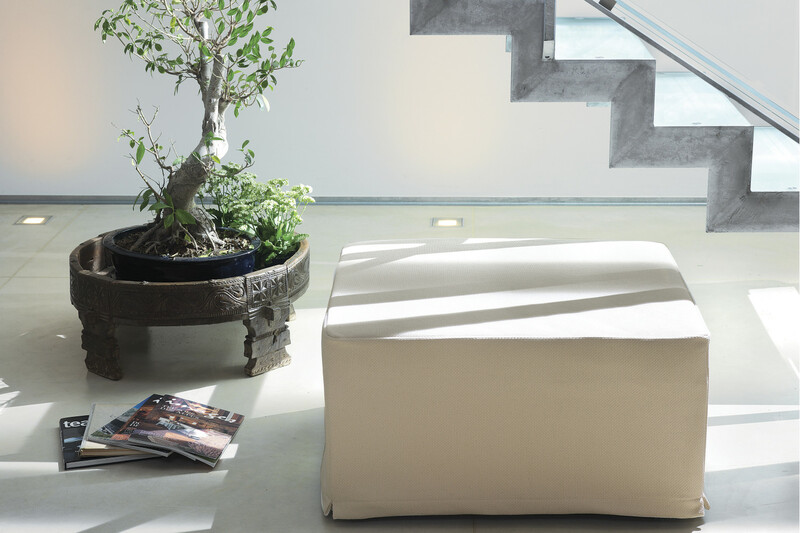 The ottoman is equipped with a standard cm 80 d.205 h.10 resilient polyurethane foam mattress. Dizzy is available in fabric, eco-leather and leather in all the colours displayed in the Milano Bedding samples page. The seat piping and the buttons can be chosen in a different colours among the ones available for the same category selected for the cover. Only available for the model with flounced skirt, piping, bands and buttons. Mechanism: high resistance furniture tube, oven coated with epoxy powders. Orthopaedic bed base made of plastic coated electrically welded steel mesh. Mechanism opening and closing in one time. Mattress: T21 Kg / m² resilient expanded polyurethane foam. 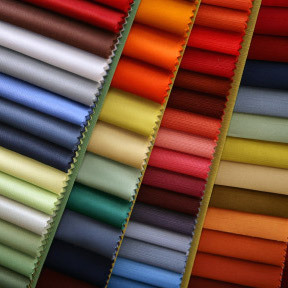 Ecru 100% cotton fabric quilted with 100 gr/m² 100% polyester resin wadding.